Reno City Council: What if they held an appointment and everyone came? It was February 1977, and former Reno Mayor Sam Dibitonto had just announced that he would run again for City Council. At the center of his campaign was his experience, the Nevada State Journal reported at the time. Now at 89-years-old, the former councilman and mayor from 1971 to 1975 leaned against the back of a salmon swivel chair on Wednesday — 52 Februarys later — to explain why he was the most qualified applicant to fill a vacancy on the city’s current council. Dibitonto was one of 144 people who applied last week for an appointment to serve on the Reno City Council after David Bobzien resigned to work for Gov. Steve Sisolak’s administration. Wearing olive slacks, a green shirt and a purple tie, Dibitonto talked about an old Nevada and his role in it. He said his council played a role in updating the airport, creating animal control and designing the Reno seal. He listed former Gov. Mike O’Callaghan as a friend who appointed him to the state Dairy Commission. He said he lost his bid when the police and fire unions went after him. (He said as mayor he felt unfair fire and police benefits were sinking the city budget). 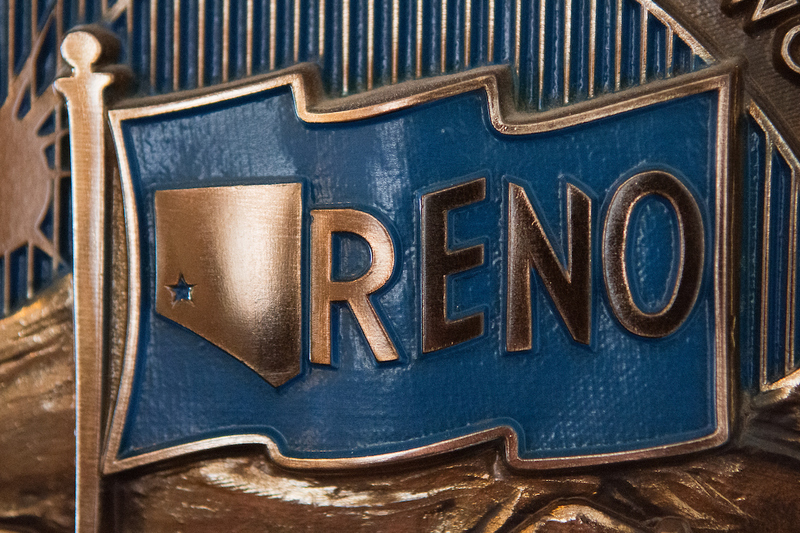 The question isn’t who applied to fill the vacant seat on the Reno City Council. It’s who didn’t. Elected officials and even some applicants said they were surprised by the interest the opening generated. 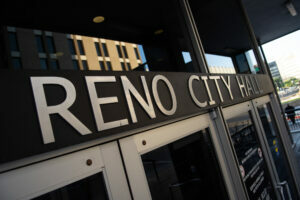 In the one-week application period that closed on Friday, the city had received 144 applications, almost double the 78 applications Reno received for its last vacancy in 2014. The final list was narrowed down to 139 candidates after the City Clerk withdrew five applications because the contenders did not meet the position’s residency requirements. 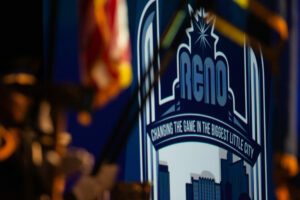 Even so, Reno Mayor Hillary Schieve applauded the high level of participation. Posted online, the list and resumes of the hopefuls vying to fill the vacancy reads like a motley crew of business people, appointees to local community boards, a former city attorney, council critics, a former Reno High football coach and perennial participants at council meetings. For Britton Griffith, the vice president for operations at Reno Engineering, this was not her first time submitting an application to serve on the City Council. In 2014, Griffith was one of the finalists in a similar appointment process to fill the seat that was again vacated in mid-January. Griffith attributed the increase in interest to the economic recovery and a greater social media presence that allowed the city to better advertise the open position. Like many candidates, Griffith said her work experience could set her apart from some of the other contenders. Her background in engineering and planning, she said, would help provide the council with technical expertise to address issues like affordable housing and downtown redevelopment. Even if there is only one former mayor seeking the position, others are echoing Dibitonto’s pitch that the council should pick those with inside knowledge of the city’s bureaucracy. Terri Hendry, a former KRNV anchor, said she decided to apply for a seat on the council as a “consensus builder” whose coverage as a journalist and employment with the city made her qualified for the post. In an interview, she said her knowledge of government would help her push effective policies on some of her top issues, like housing, homelessness and city services. Hendry described herself as “fiscally conservative” but said “government has to be a partner” in solving issues like affordable housing, which she argued was squeezing seniors and millennials. The City Council will winnow down the field of 139 at a public meeting on Feb. 13. Each council member will nominate up to five finalists. The five applicants with the most nominations will appear at an open meet and greet on Feb. 14 to give the public an opportunity to weigh in. According to a process approved in January, the council will take a final vote on Feb. 15. Before the council approved the appointment process at its Jan. 23 meeting, the panel briefly considered sponsoring a special mail-in election to fill the vacancy. Councilwoman Jenny Brekhus, the main proponent of an election, said the voters needed to vet the appointee. “I think this position is one that needs to get battle-tested out there with the voters,” she said. The City Council ultimately decided against the election because it could leave a vacancy on the board for months, affecting important votes, and because an election could cost up to $200,000. But that appointment process could disadvantage some of the applicants in a way an election might not. Many of those who applied for the position have expressed harsh criticism of the council in the past, making it unlikely that the council would appoint them for Bobzien’s seat. “It’s not that I’m going in there to be the antagonist and the opposing force,” said Brandon Siri, a critic of the current council and an executive for Club Cal Neva, a downtown casino. Siri said his goal was to bring a different perspective to a group he argued was often not the most “business-friendly council.” He cited a recent proposal to build a bike lane connecting UNR with midtown Reno. He said the lane, which would run near Club Cal Neva, would eliminate loading areas in downtown for his business. He feels the council has not paid enough attention to his concerns, and he argued that his perspective would serve as a counterweight. “That’s kind of the example of what I’m trying to accomplish — a new perspective,” Siri said. The casino executive, who ran for mayor against Schieve in 2018 but dropped his bid in May, has also opposed the city’s push to install more public art, including the “Space Whale” outside of City Hall. Siri said public art did little to promote tourism or bring more revenue to the city. “I’ve yet to meet someone who said, ‘I came to Reno to see the whale,’” he said. Siri is not the only applicant with strong opinions about arts and culture, which was identified as a top priority in the city’s Master Plan. Eric Brooks, a curator for Art Spot Reno, and his partner Geralda Miller, a former arts and culture reporter at the Reno Gazette Journal, both applied for the open seat. Brooks pushed back on Siri’s claims, arguing that public art attracts more visitors to Reno and that the city’s culture is an important characteristic that companies look for when considering to relocate. He wants the council to pay more, not less, attention to arts and culture. “As much as everyone is saying the arts are the most important thing, no one is giving enough money to it,” he said. On the application candidates submitted to the city, they were asked whether they planned to run for election when their term ends in in two years, the time remaining in Bobzien’s term. In January, Schieve and several council members said they wanted to support applicants that had an interest in running for the office. That could help candidates such as attorney Devon Reese. Reese, who lost a state Senate race against Heidi Gansert in 2016, said his background in business, government and labor law positioned him well for the job. 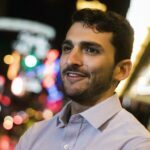 He said he would take a collaborative approach to issues like housing, city services and advocating for more parks. Others, like Dibitonto, wrote on their applications that they have no intention of running in a 2020 contest. They see the position as a short-term chance to serve the city for two years. And what did his family say when they found out he applied?